For packing your cosmetic product with sea design features none can be more suitable than this blue and white paper cylindrical cardboard box. With a simple design, it shows a calm, deep blue sea making contrast with the white cloud in the sky, giving customers a comfortable and clean feeling. 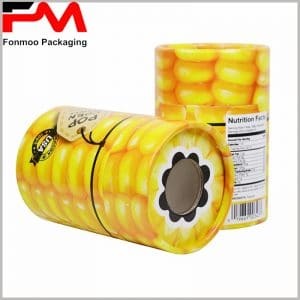 Made by 200g cardboard, which forms a good structure, the surface is decorated by 80g chrome paper with full-color printing, and get reinforced by hot silver stamping and laser printing technologies that ensure a good visual effect which favorites the promotion of goods inside. The color, gradually changed from light blue to azure, is a result of good fabricating technique and a special attraction to customers. Professional manufacturer as we are, we can provide you any customization needed on the basis of this sample presented. Any size, material, treatment or designing effect, our team is always ready to realize your ideas and provide you your special paper cylindrical cardboard box for skin care product, either in blue, white or in other colors.